It appears that entertainment is guaranteed when it comes to Darren Ferguson. 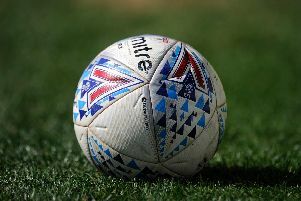 Doncaster Rovers’ new manager has pledged to turn his side into an entertaining outfit, just as he did with Peterborough United whom he guided to three promotions. This was a side who scored 106 goals during their last promotion season from League One and described as one looking to out score the opposition, whatever scoreline that produced. “The one thing you guarantee with him is that he’ll be positive,” said Alan Swann, who covers Posh for the Peterborough Telegraph. “He’ll never go anywhere and play for a draw – no matter who you’re up against. When it comes to Rovers, Ferguson says he will initially work on two formations which can be switched between during a game before adding more in the weeks to come as he spends more time with the squad on the training ground. Those two formations will be given an outing in tonight’s trip to Shrewsbury Town and it appears – initially so at least – that Rovers will not be dramatically altered from their recent approach. “I like the diamond in midfield,” Ferguson said. “I’ve had great success with it. I think it’s a great formation. “I think if you get sorted the way you want it, it suits the midfield players. “The ones that played against Bradford on Saturday, it should suit. “But you’ve got to look at the top end of the pitch and how it affects you. “Your full backs they’ve got to give you the width, they’ve got to get up and down so they have to be athletes. “There’s other formations I like as well. “We’ll work on two and hopefully it works. “We need to be flexible, we need know we can adapt within a game. The diamond was Ferguson’s favoured formation during his last spell with Peterborough – but he showed plenty of versatility in the past over two spells totally six and a half years as London Road. Swann said: “He generally has quite a few systems and he’ll switch things around in a game if it’s not going well. “Later on when he was at Peterborough he went with the midfield diamond and that worked well, although he did have the right players for that with Grant McCann and George Boyd. “It will all depend on whether he has the right players for any given system. “He played 3-5-2 in the Championship and did very well with that. And he’s played 4-4-2. 4-4-1-1. Ferguson does not have to wait long for a reunion with former employers Peterborough as Rovers head to London Road on Saturday. And Swann believes he will be remembered fondly by the Posh faithful. Swann said: “People say he was lucky because the team he inherited was very good. “But I don’t think George Boyd, Aaron McLean and Craig Mackail-Smith would have turned into the players they did if it wasn’t for him. “He helped them develop and become top players, that wasn’t by accident.